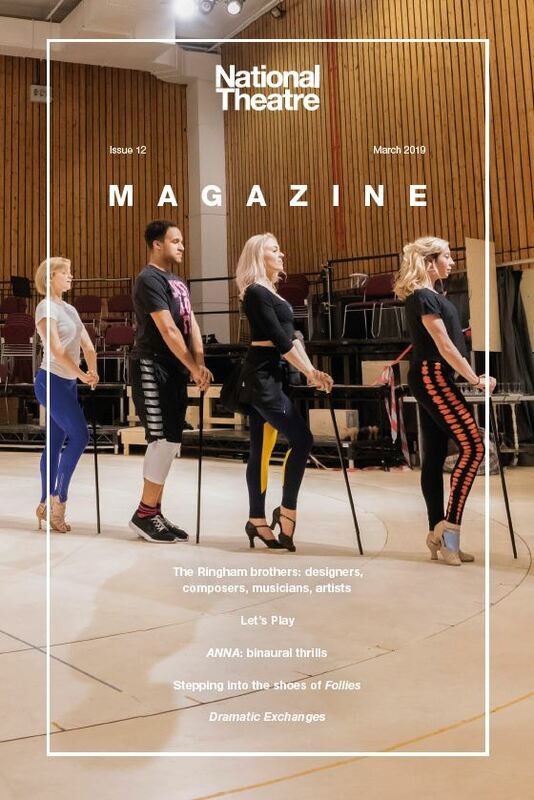 The National Theatre Magazine has been created exclusively for NT Members and is designed to provide an exciting insight into the inner workings of the NT and the productions currently on stage. The magazine was launched in April 2015 and the latest issue is now available for members to view online. 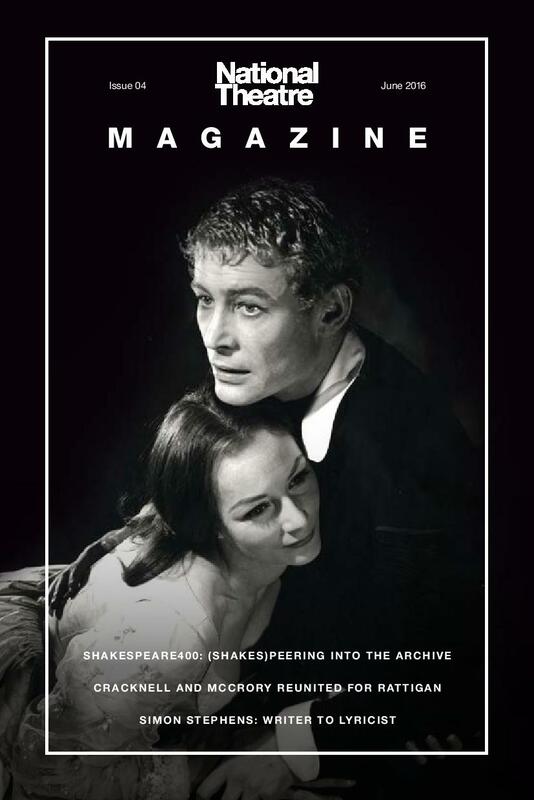 If you are a member, simply log in and click on the link for the National Theatre Magazine under the News section of My Feed. 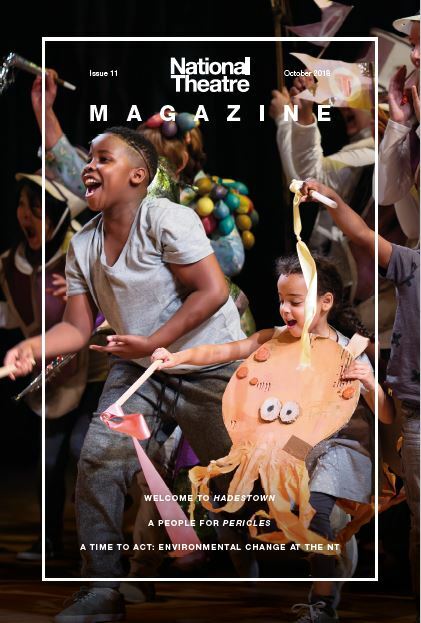 Find out more about becoming a member and receiving a subscription to the National Theatre Magazine in addition to other exciting benefits that bring you closer to the NT’s work. We speak to sound designer Max Ringham about Tartuffe and ANNA, as well as three new cast members from the return of Follies. The Learning department showcase their new programme, Let's Play, and author Daniel Rosenthal introduces his new book, Dramatic Exchanges. 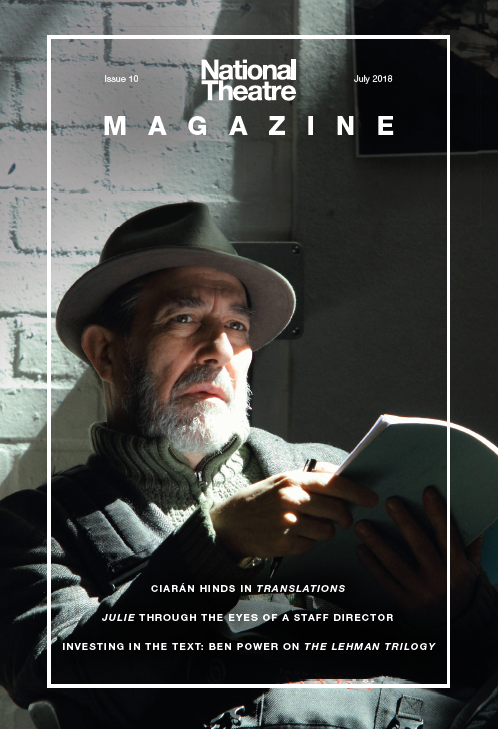 Deputy Artistic Director Ben Power talks us through his process for adapting Stefano Massini’s The Lehman Trilogy and Ciarán Hinds explores his character in Brian Friel’s Translations. Staff director Jo Tyabji takes us into the rehearsal room for Polly Stenham’s Julie and the Learning department share the aims of their schools touring programme. 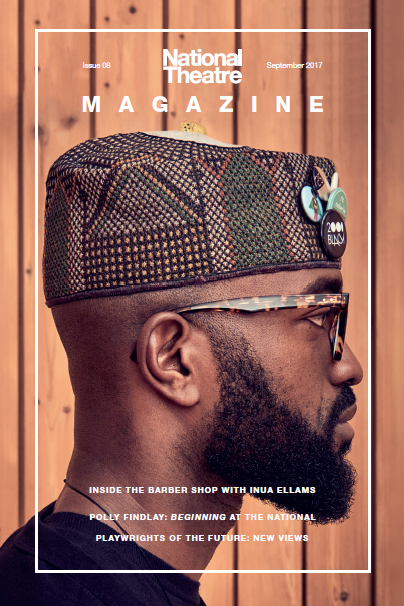 We explore the productions upcoming in the Dorfman, hearing from playwright Inua Ellams about the inspiration for his play Barber Shop Chronicles, and director Polly Findlay about her latest production, Beginning. We also celebrate two flagship creative initiatives that help expand the boundaries of the NT’s work: New Views and the National Theatre Podcast. 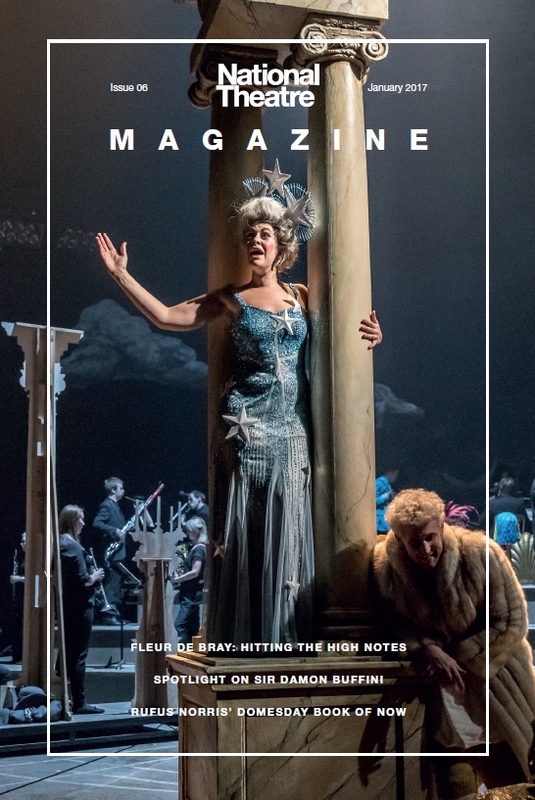 Soprano Fleur de Bray speaks about bringing opera to the Olivier in Amadeus, Chair of the National Theatre Sir Damon Buffini talks to us about his life, his inspiration and his vision for the NT, and Rufus Norris tells us about his newest endeavour in response to the EU referendum. Ivo van Hove, director of Hedda Gabler, shares his thoughts on his infamous title character. We commemorate the 400th anniversary of the death of Shakespeare by taking a look back at some of the NT’s most memorable productions of his work and we talk to Helen McCrory and Carrie Cracknell during rehearsals for The Deep Blue Sea. 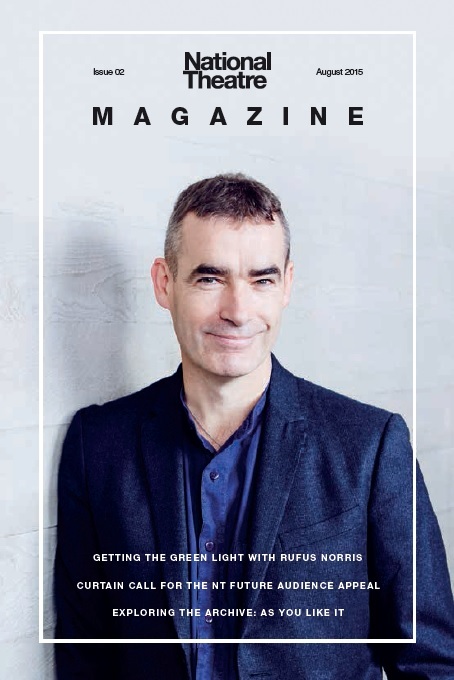 Rufus Norris tells us about his first few months as Director of the National Theatre and his vision for the NT. We also hear from Javier De Frutos on his experience creating the choreography for wonder.land and set designer Bunny Christie talks to us about her plans for People, Places and Things in the Dorfman Theatre. We speak to Rachel Chavkin, director of myth-turned-musical Hadestown, and to Adrian Scarborough, appearing in Patrick Marber’s new version of Exit the King. Our Look at You Now exhibition brings theatre-makers face to face with their younger selves. We also celebrate the company of our first Public Acts production, Pericles. We pay tribute to the achievements of former Director Peter Hall, who sadly passed away in 2017. We speak to actor Douglas Henshall and music supervisor Martin Lowe about their experiences of two very different adaptations currently playing on the Lyttelton stage, Network and Pinocchio. 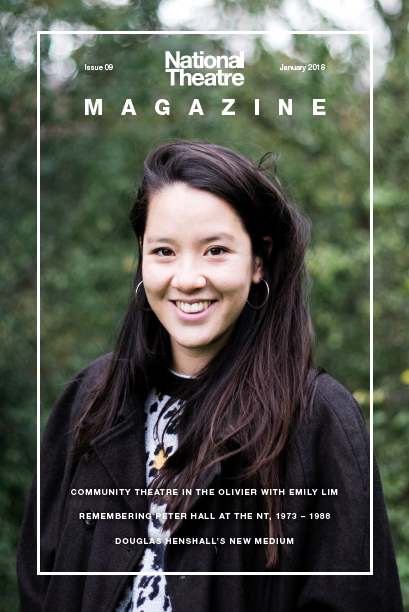 We also learn from Emily Lim about the new Public Acts initiative. 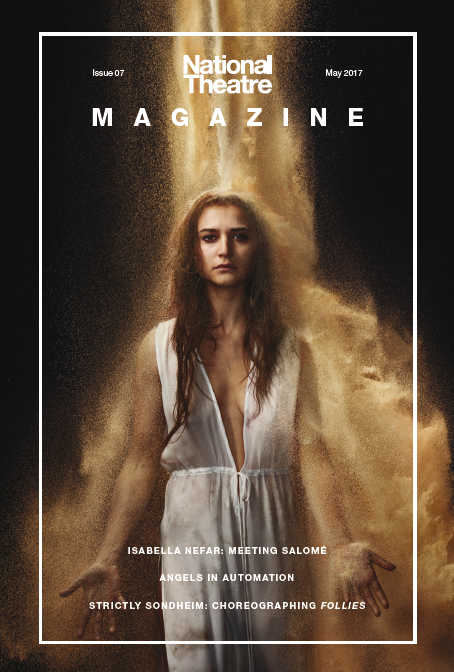 We hear from newcomer Isabella Nefar on originating the role of Salomé in Yael Farber’s retelling of the infamous biblical tale. Behind the scenes, the production team of Angels in America and Bill Deamer, choreographer of Follies, take us into the rehearsal rooms to see how the NT delivers flair and innovation on an ambitious scale. 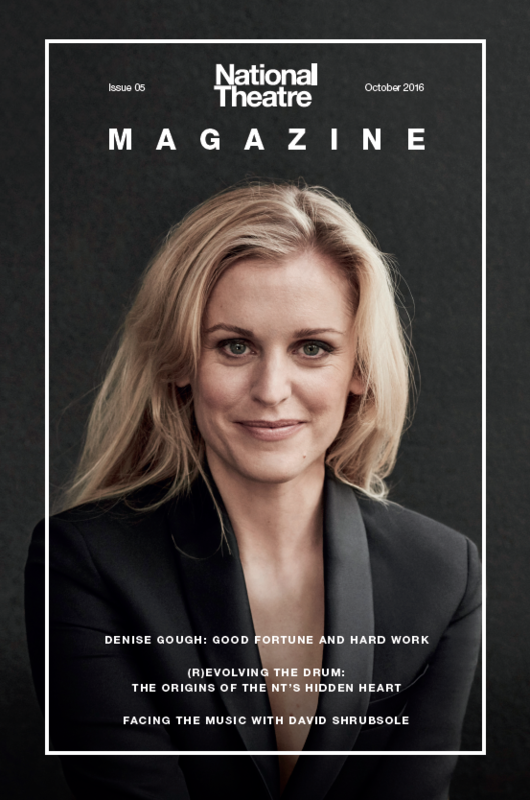 Denise Gough tells us about her extraordinary experience working on People, Places and Things and we talk to Music Director David Shrubsole about his work on The Threepenny Opera. Also included is a special feature looking back at the dramatic life story of the Drum Revolve. 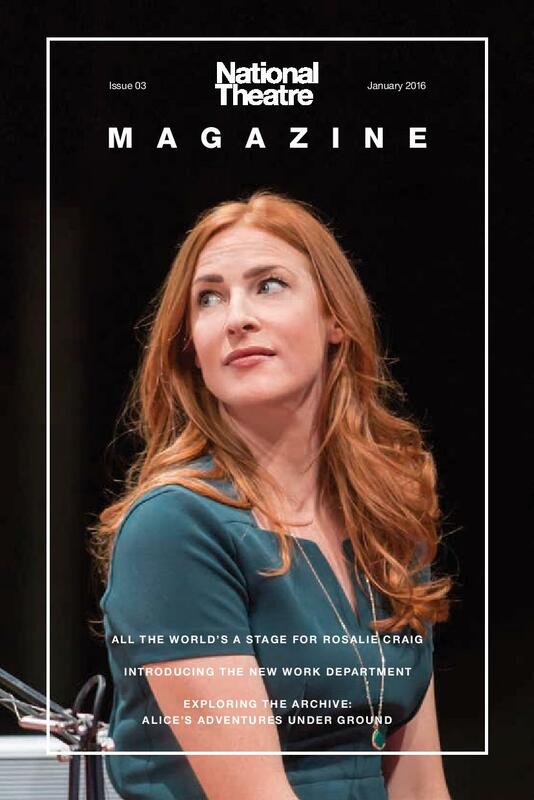 Rosalie Craig tells us about the characters she has played at the NT as she prepares to play Rosalind in As You Like It and we get an insight into the plans for the newly-formed New Work Department. We look back at the 1994 production of Alice’s Adventure Under Ground and we take a look at how support from Legacies can help the NT’s work. 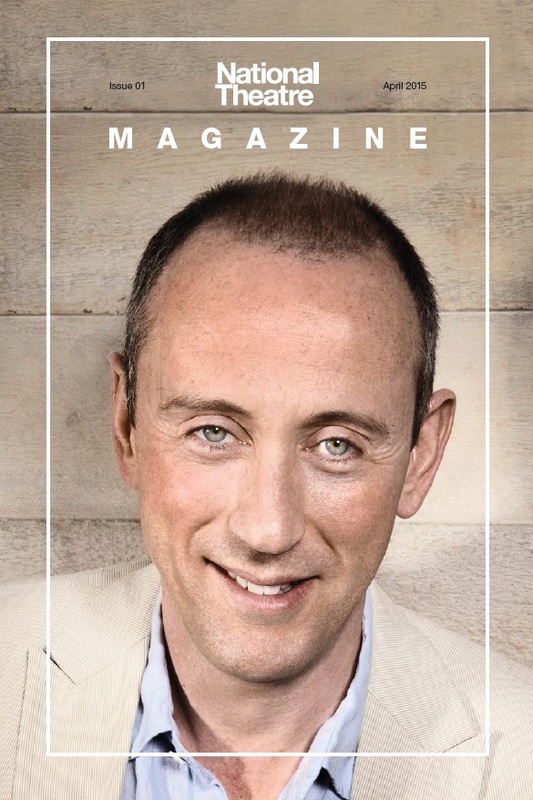 Nicholas Hytner shares his thoughts as he prepares to move on from the NT after 12 years as Director and we celebrate some of the many highlights of his time here. Sam Holcroft tells us how her love of science influences the writing of Rules For Living and we join the Costume team behind the scenes in the run up to Man and Superman.